The training is held over the course of 4 days from 8:30am to 5:00pm. Participants are required to attend all four sessions to participate, This course will take place on August 14th, 15th, 16th and 17th in 2019. This training is held at the Crim Fitness Foundation location on First and Saginaw Street in Downtown Flint. The Crim Fitness Foundation is offering Yoga Ed. Elementary Yoga Teacher Training to Flint. This training is designed for individuals inspired to teach yoga to elementary students. This training focuses on the evidence-based physical, mental, and emotional benefits yoga can provide for youth. Upon completion of the training, participants are fully equipped with tools to help teens build a lifetime of health and wellness through the practice of yoga. For educators, 32 SCECH Hours are offered for this training as well. Please bring along your personal yoga mat if you have one available. 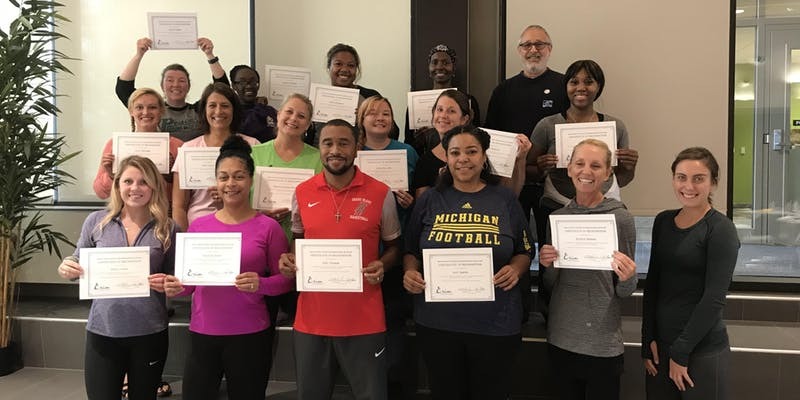 The Mindfulness Team at the Crim Fitness Foundation is currently able to provide free training for Flint Community School educators, parents, and volunteers from the 10 partner schools in Flushing, Carman-Ainsworth, Westwood Heights, and Mt. Morris School districts. If you are interested in this training, but are not an educator, parent or volunteer with one of the above-listed schools, there is the option to pay a fee of $650 for this training. If you sign up for free, there is a volunteer agreement that requires graduates to volunteer and participate in an apprenticeship program with the Crim Mindfulness Initiative for a minimum of 8 hours total. We also are requiring a basic interview to get to you know and your goals for attending this training. Once you register, we will reach out to you to schedule a time for a call or a meeting that works for your schedule. If you have questions regarding if you will need to pay for this training, please send us an email at: mindfulness@crim.org. We would be happy to explore how to add additional trainings in the future. Please email us at mindfulness@crim.org for more information. If you would like to become a Yoga Alliance Certified Children’s Yoga Instructor, you must attend BOTH the Pre-K- 5th Grade and the Teen Yoga Training Sessions as well as voluntarily teach at least 18 hours. Please register separately for the Yoga Ed. Elementary Yoga training if you wish to participate in both trainings. The cost of this training is $100. Educators in Genesee County who teach at a public or charter school receive a 50% scholarship reducing the cost of this training registration to$50. Flint residents and educators in Flint Community Schools and Crim mindfulness partner schools receive a 100% scholarship thanks to support from the Community Foundation of Greater Flint.